Industrial kitchens are very important and in order to cook properly it is important to have the right industrial kitchen equipment. 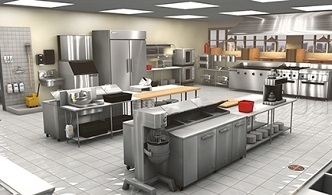 There are different types of equipment available but if you want to run the industrial kitchen efficiently then you have to get the right equipment. Our range of products include Commercial Kitchen Equipments such as Pav Bhaji Burner and Tilting Boiling Pan - Gas / Electric. By hariomequipments Are You Searching for Industrial Kitchen Equipment, Make Your Own Design From Our Experts and 100% Satisfaction of High Quality of Material We Use to Manufacture. Practicality is very important and when buying industrial kitchen appliances you have to keep practicality in the forefront. The customers do not see your kitchen. So it is not at all necessary to go out of the way to make your kitchen look beautiful. 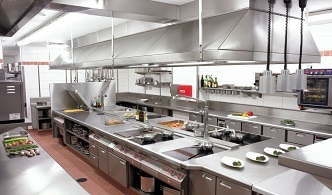 Rather the kitchen should be practical and helpful for the kitchen staff. When buying kitchen appliances it is very important for you to keep the kitchen space in mind. If there are a number of things cluttered in your kitchen then the kitchen staffs would find it difficult to work. A kitchen planner might be helpful at this stage. When you are buying any industrial kitchen appliance it is important to check if the equipment is certified by the NSF. There should be a blue sticker on these appliances. These equipment can safely be used in the commercial environment. If you are buying industrial kitchen appliances for the first time then it is always better to take the help from somebody who is more experienced. This will be of great help because you will be able to buy those appliances that will be helpful for your type of kitchen. 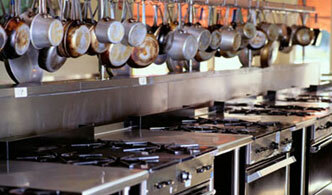 If you are opening up a new business then it is a good idea to buy used industrial kitchen appliances. If you invest in used appliances then the amount of money that you have to spend will be much lesser. This will definitely be extremely useful for your new business. When you are buying industrial kitchen appliances then keeping the above mentioned points in mind will certainly be a good idea. This will help you to buy equipment that are useful for you at a reasonable price. Kitchen appliances are very important because the success of the kitchen depends a lot on these appliances. Another thing that you have to remember when buying the kitchen appliances is that you should buy them from reputed stores. If you do so then you will be able to get good quality kitchen appliances at a reasonable price. Before you buy these appliances it is important for you to understand the needs. If you understand your requirements well then you will be able to buy the right kitchen appliance. There is a lot of food that is made in the commercial kitchens so the equipment that you buy should be suitable for cooking food of a huge quantity. You are also investing a lot of money on these equipment. So it is necessary that you buy equipment that will help you to do well in your business.